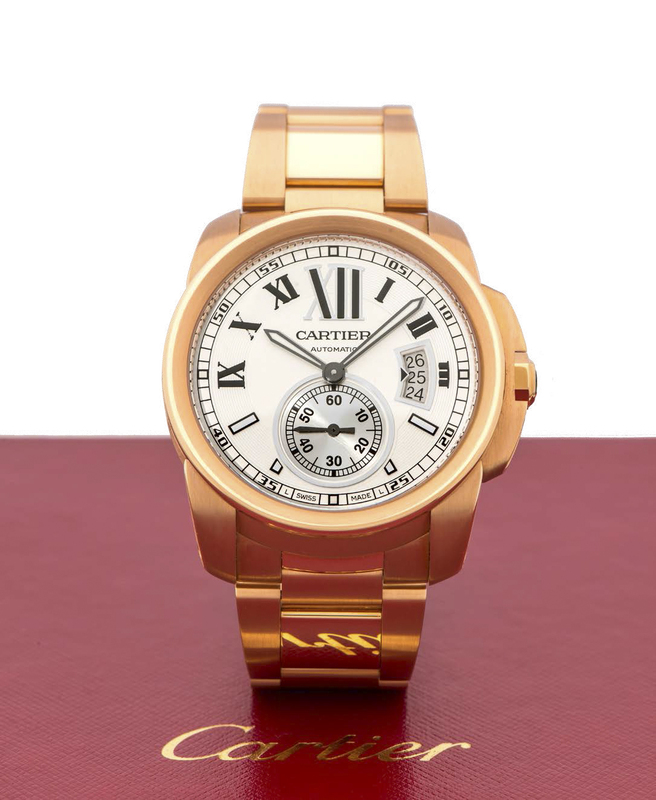 CARTIER CALIBRE DE CARTIER REF. 3242 CHRONOGRAPH PINK GOLD [NEW OLD STOCK] A very fine manual-winding 18K pink gold wristwatch with chronograph. Accessories Original fitted box, certificate of origin, guarantee, instruction booklet, polishing cloth, loupe and DVD.